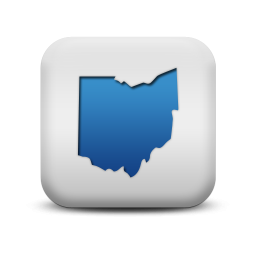 Find the latest news and information about Ohio workers compensation insurance. 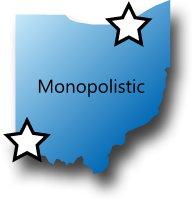 Ohio is one of four remaining Monopolistic states in the country. The state has never allowed private insurance companies to compete on rating in the Ohio as the state fund has always been the sole source for work comp coverage. Ohio has also managed to keep state rates competitive with other states in the U.S. The Ohio Bureau of Workers' Compensation was established as the state fund for Ohio in 1912. It is the largest exclusive state fund in the U.S. with just under $20 billion in assets and 300,000 employers. The Ohio Workers' Compensation Oversight Commission is responsible for monitoring the BWC's policies, rules and investments. Need workers compensation coverage outside of Ohio? Contact one of our Specialists today and shop more than 35 private insurance companies for your lowest rates. 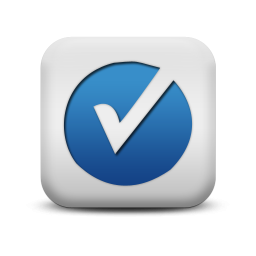 Ohio state laws requires that employers post a Certificate of Premium Payment each year in a highly visible location within the workplace. The certificate lets employees know you have an active workers' compensation insurance policy. All Ohio employers are required to choose an MCO (Medical Care Organization) within 30 days of initiating workers comp coverage. The MCO will help manage all medical claims for injured workers. The Ohio BWC offers all business owners free consultation with safety and health professionals as requested by a policyholder. They will also create a customized safety management program for your business. Visit BWC Ohio for more information. Ohio offers this incentive program to help new business owners save money on workers' comp coverage. 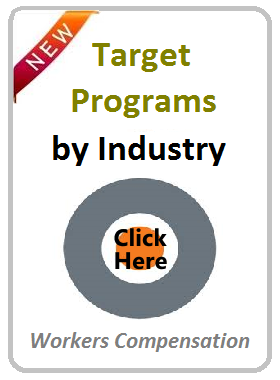 There are two available choices in the program: 1) a 25% discount on work comp premium, and 2) an opportunity to join a group-experience-rating-program effective with the first date of coverage (employer receives the groups discount up to 50%). The program does have annual eligibility requirements. Either an employer or an injured employee has the right to dispute any BWC claim decision if they disagree with the outcome. The employer or the employee can file an appeal with the Ohio Industrial Commission as it serves as the adjudicative branch for the Ohio workers' compensation system. All private employers pay insurance premiums for workers comp based on the rating year from July 1st through June 30th. The BWC offers several payment options including monthly installments. Premium payments are based on the annual projected payroll listed on the workers' compensation application. Each July, Ohio employers are required to provide there actual payroll records and determine the difference between estimated payroll by class code(s) and actual payroll. This process is also known as an annual audit. Employers typically receive a credit if payroll was over-estimated, or owe additional premium if the payroll was under-estimated. Any business in Ohio that controls the working hours, materials selection process, traveling routes, or does a performance review is considered to be an employer for the purpose of workers compensation insurance. Workers compensation insurance must also be provided to a) corporate officers, b) domestic household employees, and c) employees temporarily working out of state. BWC can't provide coverage for any employee who works exclusively outside of Ohio. The Columbus Dispatch reported in April 2016 that The Ohio Bureau of Workers' Compensation has proposed new guidelines for how doctors treat patients for pain. The guidelines will limit the amount of money BWC will pay towards opioids and limit treatment for up to 18 months. If passed, the guidelines should become affective sometime in October 2016. In most states, employer's liability coverage is included with a standard workers comp policy. However, employer's liability coverage is not included with workers' compensation from the Ohio Bureau. Ohio employers will need to purchase employers liability coverage separately. This coverage can often be included as part of an Ohio general liability policy. Employers' liability insurance is also known as Stop Gap because it protects the employer from employee related lawsuits that are outside of the scope of workers comp coverage. It exists to protect employers against claims that do not fall under workers compensation statutes in Ohio. Workers Compensation Shop.com can help your business navigate workers comp insurance in other states outside of Ohio. We can help you buy multi-state and out of state workers comp coverage and employers liability coverage.. If your business only performs work in Ohio and only hires employees who live in Ohio, you are business should be adequately protected with regard to workers compensation insurance. If your business does any work in a state outside of Ohio, or hire employees living in a another state your business may not be properly covered. For the most accurate information about workers comp insurance in Ohio, multi-sate insurance coverage, or out of state workers comp, give one of our workers compensation Specialists a call at 888-611-7467 or start your quote here online.